The “New Silk Road” Initiative: China's Marshall Plan? With the “New Silk Road” initiative (known as the Silk Road Economic Belt and the Maritime Silk Road) being gradually elucidated and corresponding measures unveiled, there is growing talk at home and abroad about the “New Silk Road” being the equivalent of the U.S. Marshall Plan aimed at rebuilding Europe after the Second World War. The Chinese media focus their attention more on the economic perspective and are of the view that the implementation of the “New Silk Road” will play the same role as the Marshall Plan did in the economic recovery and integration of Europe. Meanwhile, Western scholars and media, viewing the initiative more from a political and security perspective, dub the “New Silk Road” as China's political and security strategy for managing its sphere of influence and vying for geopolitical dominance in the region. In fact, despite some commonalities, there is a cardinal disparity between the two arguments both in form and content. The concept of a “Chinese Marshall Plan” was devised by scholars at home and abroad as to how the international community and China should cope with the existing financial crisis, which has nothing to do with the “New Silk Road”. The “New Marshall Plan,” as proposed by Chinese economist Lin Yifu in dealing with the financial crisis, made the “Marshall Plan” relevant in China for the first time. In 2009, confronted with the challenge of financial crisis, Lin expressed the wish to put forward a new “Marshall Plan”, with a view to increasing infrastructure investment worldwide and break down the bottleneck of economic growth among the developing countries, providing space for the structural reforms of the high-income countries, e.g. expand export requirements of the developed countries by way of investing infrastructure across the world. This is a kind of win-win investment through which the developed countries could carry out economic restructuring and shed the financial crisis, whereas the developing countries could gain better development opportunities by overcoming their infrastructure bottleneck. It is Xu Shanda, a noted economist, who first enounced the implementation of the “Chinese Marshall Plan”. In 2009, fraught with the downturn of China's export industry during the financial crisis, Xu Shanda, then a member of Chinese People's Political Consultative Conference, put forward the “Chinese Marshall Plan” to satisfy domestic needs, e.g. a large-scale targeted overseas investment initiative to be headed by Chinese government. Xu Shanda proposed that an overseas assistance plan should be put together in order to aid the developing countries by using a certain amount of foreign currency reserve and RMB Yuan. The aid projects could be focused on infrastructure development, such as electric power, water conservancy, highways, railways, ports, mineral resources, and energy, etc. The recipient countries would be able to choose different projects in line with their actual needs, and the corresponding debt could be met by way of state credit and projects fees, for example. As previously mentioned, many commentators believe that the “New Silk Road” is analogous to the “Marshall Plan” of 60 years ago. Quite a few of these refer to three roles for the “New Marshall Plan”: the first is to reduce foreign currency reserves by way of overseas investment, the second is to ease the production surplus in infrastructure, and the third is the internationalization of RMB Yuan. Apart from the economic analogy between the “New Silk Road” and the “Marshall Plan”, some even judge the two from the perspective of geopolitics. “It is no coincidence to link and compare the two because both are designed to achieve foreign policy objectives by way of economic means by a rising power, including in the meantime the consideration of buttressing domestic economic development. The Marshall Plan made the U.S. become a “real superpower”, and Beijing wishes for the “New Silk Road” to attain the same goal.” As quoted here, Michele Penna, a writer at the European Centre of International Political Economy, presumes that looking at the New Silk Road simply in economic terms would be a mistake. Rather, according to this author, the “New Silk Road” is a geopolitical reorientation, a Marshall Plan with Chinese characteristics, as financing infrastructure in neighboring countries would provide Beijing with the influence it needs to consolidate its role as Asia's foremost power. Although viewing the “New Silk Road” as a “Chinese Marshall Plan” is not totally wrong in a sense, especially given the role it might as well play in driving the economy of China itself and neighboring countries, it is most likely to have the similar role as the Marshall Plan had for European economic revival and integration. However, set in a completely different era, and given that China and the U.S. have different targets and objectives to their respective initiatives, the “New Silk Road” and the Marshall Plan are vastly disparate in form and content as well as how they have been executed. The “New Silk Road” initiative is first and foremost a strategy aimed at realizing common development, with inclusiveness and openness as its most prominent features. Completely different from the bipolar conditions that prevailed when the Marshall Plan was initiated, the mutual interdependence of the world system today is deepening, a given country's long term sustainable development is inseparable with other countries, and only by bringing about common development can there be long-term prosperity. In view of this, the “New Silk Road” initially sets store by peace and friendship as well as the open and inclusive spirit of the ancient Silk Road. Actually, it is a wholly cooperative initiative, open to all parties who wish to join, with no design of exclusiveness, not antagonizing a third party, and free from managing any sphere of influence. Presently, more than 50 countries along the route expressed their support for this initiative, of which some are major powers, others are small countries, some are developed countries, and still others are developing countries, reflecting fully the characteristics of openness and inclusiveness. On top of this, the supporting fund, be it the Asian Infrastructure Investment Bank or the Silk Road Fund, is open to all countries to participate and contribute. Being a developing country, China has gained, through its own growth and practice of cooperation, a better understanding of the challenges impeding development. More importantly, in its long cooperation with developing countries, China has charted out a model of common development with Chinese characteristics, which refuses the Western aid model with attached conditions, but rather seeks mutual cooperation based on equality and consultation, making effective use of aid, investment, and trade with a view to realizing win-win development. The objective of the “five links” of policy, road, trade, currency, and people, as evidenced in the “New Silk Road,” is the continuation and innovation of the above-mentioned common development. Most of countries along the line of the “New Silk Road” are developing countries, still at the stage of launching and speeding up industrialization and urbanization, fraught with shortages of capital and technologies. Some of these countries are endowed with rich energy and mineral resources, some enjoy large markets, and still others are facing difficulties in improving their infrastructure, sharing vast complementarities and disparities. While giving scope to its advantages, China is able to achieve complementarities with these countries and bring about common development. Consequently, the “New Silk Road” constitutes a strategic concept of long-term common development with countries along the route, serving as a vast inclusive development platform aimed at realizing the goal of win-win cooperation, meeting each other's needs through interconnectivity and bringing into play the strengths of various economies. Comparatively, the Marshall Plan, being a form of U.S. assistance Western Europe after the Second World War, had multiple objectives, though the priority was a political and security strategy featuring palpable exclusiveness. The basic concept of the “New Silk Road” is “strategic synergy,” to integrate strategically with the development of partners and regions. The Marshall Plan from the outset had the Soviet Union kept out, which had the apparent features of exclusiveness. Therefore, the Marshall Plan was seen as a turning point in the formation of the two competing blocs, representing the beginning of the Cold War. Consequently, the Marshall Plan was a political and security strategy on the basis of ideology. The authors of the Marshall Plan were worried that the Soviet Union might pose a threat to the U.S. by capitalizing on the European crisis. Only the U.S. had the sufficient economic power to revive European dynamism and provided hope to the non-communist countries in Asia. Were it not provided with aid, the deepening chaos would jeopardize the free world and threaten U.S. interests. To this, George Kennan uttered: “economic maladjustment… makes European society vulnerable to exploitation by any and all totalitarian movements. The Marshall Plan would be an effective tool in the strategy of containment.” After the Korean War broke out, military security replaced economic self-help to be the main policy objective of the U.S. in Europe. To emphasize the importance of economic power vis-à-vis military security, a reconstruction plan worth $1.5 billion U.S. was earmarked as a “defense expenditure,” and finally the Mutual Security Act was adopted and the Common Security Apparatus replaced the Economic Cooperation Apparatus, further manifesting the political and security nature of the Marshall Plan. The initiative upholds the principle of equality and mutual benefit. Mutual respect and non-interference in each other's' internal affairs are the core principles of Chinese diplomacy and this will also be enshrined in various cooperative projects of the “New Silk Road.” For quite a while, in conducting cooperation with the large number of developing countries, China has been showing respect to the ownership of these countries and carrying out cooperation without any attached conditions. The “New Silk Road” will uphold the above-mentioned principles, placing stress on discussion and sharing. All relevant countries are welcome to participate on their own accord and to jointly build the community of development, shared interests, and responsibility. The basic concept of the “New Silk Road” is “strategic synergy,” to integrate strategically with the development of partners and regions, fully showing China's adherence to the principle of equality and shared ownership with partners. Taking this “strategic synergy” as a basic concept constitutes not only the requirement of the principle of equality and ownership, but also the summary of successful experience gained from China's cooperation with the international community. The “strategic synergy” is being fully reflected in the initiative's early consultations with the partners as well as in the present day advancement of early projects, be it with the “Bright Road” of Kazakhstan or with the “Industrial Parks Plan” of India. The characteristic of relying on the existing mechanisms also mirrors the pragmatic attitude of respecting self-development in the region. Comparatively speaking, the Marshall Plan attached various unequal conditions to its assistance and acquired vigorous means to meddle in the internal economic policies of the Western European countries. “The most important channel through which the Marshall Plan contributed is through its conditionality, with which the U.S. was able to exercise significant influence on the economic policies of the Marshall Plan aid recipients.” To begin with, the Marshall Plan had established the conditions of joint assistance, e.g. an individual country is not entitled to assistance, and thus the whole of Western Europe was put under U.S. influence. Furthermore, the U.S. put forth concrete conditions for accepting assistance. 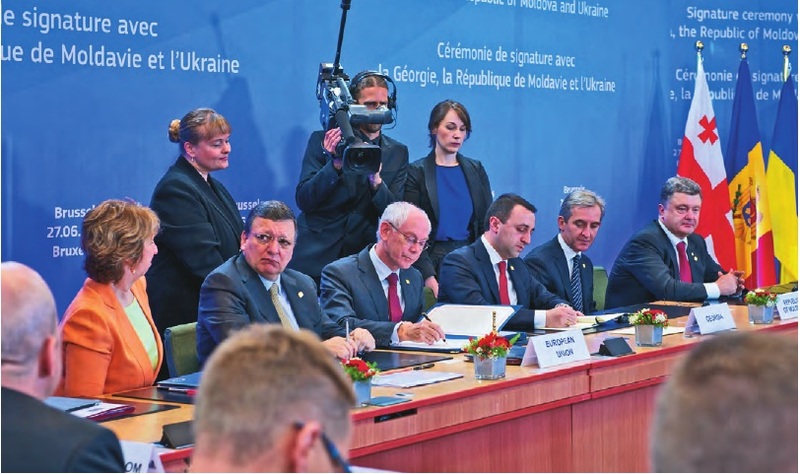 A recipient country had to sign up to a bilateral accord, pledging to balance budget, restore financial stability, and stabilize its currency rate. Indeed, the U.S. acquired control of double assistance resources by sharing the right of tackling a “counterpart fund.” Due to this, the U.S. deprived the recipient countries' right of ownership in formulating their own economic policies. It also succeeded in incorporating Europe into the order of laissez-faire economic policies so as to safeguard the U.S. economic hegemony. Moreover, in order to transfer the U.S. surplus capital and productive force, the bulk of capital was required to be used to purchase American products. By the end of June 1950, the U.S. aid to Europe had reached $9.46 billion, of which $8.8 billion was required to go through the mandate of commodities purchasing. The French Institute of Public Opinion reported in September 1947 the results of a poll indicating that only 18% of the people believed that Secretary Marshall's proposal was dictated by a sincere wish to aid Europe's recovery, 17% attributed it to America's desire to intervene in Europe's affairs, and 47% to a need for external markets to avoid an economic crisis in the U.S. The initiative takes practical cooperation as its basis. The “New Silk Road” initiative is not an entity or mechanism, but rather a cooperative, win-win initiative. Going by the principle of pragmatism and efficiency, this mechanism makes full use of existing cooperative mechanisms, stressing innovation and flexibility in line with priorities and actual conditions of various countries along the route. By not seeking to have a dominant role through instituting new arrangements, the “New Silk Road” goes by the principle of basing the cooperation on each other's specific conditions and project orientation. The characteristic of relying on the existing mechanisms also mirrors the pragmatic attitude of respecting self-development in the region. The “New Silk Road” involves more than 60 countries along the route, scattered extensively over wide swathes of Eurasia, West Asia and North Africa with pronounced disparity in terms of economy, politics, and security and experiencing various levels of integration. It is truly difficult to conduct cooperation within a unified multilateral framework. In September 2013, when putting forward the establishment of “the Silk Road Economic Belt” for the first time, President Xi Jinping emphasized that relevant cooperation can start from scattered spots and spread to wider areas, eventually connecting the whole region. When the Central Financial Work Leading Group reviewed the plan of the “New Silk Road” in November 2014, President Xi Jinping once again stressed that the initiative should be pursued earnestly from select spots to more generalized areas and then to the whole region. At present, the “New Silk Road” is being carried out within the framework of partnerships and regions, and early results have been achieved. 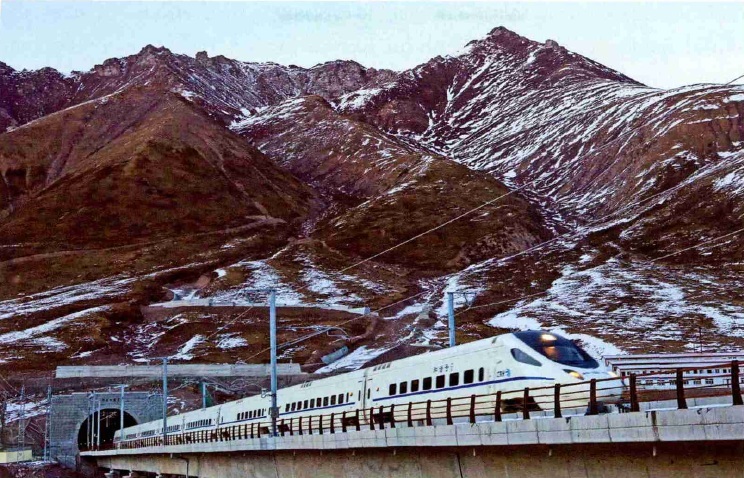 For instance, the joint application for the list of UN world heritage sites, Turkish East-West Railway project construction, as well as all-directional production capacity cooperation with the Central Asian countries, fully exhibit the characteristics and vitality of the practical “New Silk Road”. Compared with the practical “New Silk Road” cooperation, the Marshall Plan was designed to seek the leading role over European affairs and American hegemony via institutional arrangements and rules-making. To implement the Marshall Plan, the U.S. first pushed to establish the “Organization for European Economic Cooperation.” Although the purpose of setting up this organization was “self-help and self-saving,” the U.S. made this organization an important institutional tool in exerting influence over the internal affairs of other countries by virtue of its status as an observer and the advantage of being the donor nation. In the course of executing the Marshall Plan, this organization played the role of assessing economic difficulties, coordinating the recipient policies, eradicating European internal trade barriers, formulating multiple payment systems, and setting up a kind of “Europe Payment Union.” It was through the aforementioned institutional role that the U.S. broke through the situation of non-convertibility of the Western European internal currency, made the U.S. dollar the settlement currency among the European countries, established the hegemony of the U.S. dollar and altered the rigid pattern of trade barriers among the European countries, thus affirming the new economic order after the Second World War. In comparison with the Marshall Plan, the “New Silk Road” is confronted with still bigger challenges. As far as the diversity involving the countries, the extensiveness of areas of cooperation, and the complexity of the international environment are concerned, there is no comparison between the challenges the “New Silk Road” faces with the Marshall Plan. As for the partners, the recipients of the Marshall Plan were the Western European countries, which were prone to reaching consensus over the necessity of accepting U.S. assistance because of shared values, economic difficulties as well as cognizance of the threat of the communism as propagated by the U.S. Consequently, the Marshall Plan was warmly welcomed initially by the U.K. and France, and thereafter the various Western European countries soon clinched a deal over the establishment of the Organization for European Economic Cooperation. Comparatively, the countries bordering the “New Silk Road” are diverse and heterogeneous, having varying understandings of China and conflicting with each other. Some are in the grip of rival major powers. All this has an added economic, political, and security risk for practical cooperation. That said, the multifaceted aspirations, complex regional security situation, as well as escalating geopolitical risks constitute the major challenges for the “New Silk Road”. As for the areas and scope of cooperation, the Marshall Plan being an aid plan with the U.S. playing the leading role, the area of cooperation was relatively simple. Judging by its execution, the Marshall Plan was mainly conducted in the following three stages: one was providing a large amount of foodstuffs, raw materials, and alternatives to allay the dilemma of shortage of goods and materials; another was characterized by offering a new investment plan, including aiding modern industrial equipment; still another was tailored to cope with the productivity of the Western European countries. While the “New Silk Road” is a comprehensive systematic engineering, involving extensive areas, including trade, investment, banking, communication, and human aspects, the way of carrying this all out is from scattered spots to wider areas and finally to the whole region. So, this involves more bilateral coordination, multilateral integration, and a series of communication and compatibility over strict rules and standards. As for the complexity of the international environment, the Marshall Plan was carried in the bipolar context and the U.S. aid to the Western Europe was roughly free from disruption by outside actors. The “New Silk Road” is facing a more complex international environment. At present, China's overall national strength and international prestige are booming, but owing to the difference in terms of political systems, ideology, and the path of development with the Western countries, the latter is highly skeptical over the direction of China's development. Although China claimed repeatedly that it seeks no hegemony, a rising China still worries the West and is widely seen as posing a potential challenge to the existing international order. The imposition of BRICS Bank, the Asian Infrastructure Investment Bank, as well as the Silk Road Fund is deemed as part of China's efforts seeking to rebuild the international order. The analogy between the “New Silk Road” and the Marshall Plan should be treated in a rational and differentiated way, guarding against viewing the equivalence of the two as an attack against the former. Firstly, seen from the logic of economic development, the both do have similarities, and this explains why some Chinese scholars are for execution of a “Chinese Marshall Plan”. A large-scale investment that interconnectivity entails will drive the economic development of China and its partners, and objectively promotes the region's integration, which has parallels to the Marshall Plan in its revival of the European economy. Secondly, although the fundamental nature of the Marshall Plan was a political and security strategy, on the whole the Western appraisal of the Marshall Plan was positive. Thirdly, the cardinal attribute of the “New Silk Road” is the common development, but the attainment of common development is never something secluded, it is conducive to the achievement of safeguarding peace. Though fundamentally different, the execution process of the Marshall Plan can still offer some experience and lessons, especially in terms of how to step up flexibility of cooperation and enhance coordination and planning. In putting the Marshall Plan into place, the U.S. not only required a coordination institution to be formed by Europeans, but it also set up the Economic Cooperation Administration to intensify coordination independent of the State Department and directly responsible to the U.S. President. Today, the “New Silk Road” is still in its initial stage of execution. To avoid misunderstanding, a specific communication measure analogous to the Marshall Plan should be taken. As far as the majority of developing countries are concerned, apart from stressing aforementioned dissimilarities and dispelling its scruples, it is quite necessary to point out that the “New Silk Road” is not the sort of assistance program as the Marshall Plan was, but rather a form of win-win cooperation under the South-South frameworks. China is the initiator of the cooperation, not the dominator. Thus, as for the Western countries' worries, China's response should be focused on the issue of reshaping the international order, emphasizing the nature of economic cooperation and common development, while not avoiding the political and diplomatic spillover effects of the cooperation. For all the positive reactions of various countries along the route, the level of cognizance among the scholars and population is not widespread. Having said this, it is imperative to increase the understanding among various quarters through international symposiums as well as all sorts of joint research on the one hand; on the other hand, the Chinese government should issue programmatic documents to interpret the concepts and roadmaps of the initiative. More importantly, it is more urgent to expedite the cooperation within the frameworks so as to demonstrate to the outside world the cardinal nature of common development with matching concrete results. Jin Ling is Associate Research Fellow at the Department of European Studies, China Institute of International Studies.